Broadline Spot-On for Small Cats is an innovative product used in the control and prevention of internal and external parasites in cats. 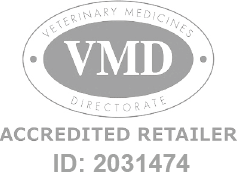 Broadline Spot-On Small Cat - 3 Pack is a Prescription Only Veterinary Medicine and by law requires a prescription from your vet. Broadline Spot-On for Small Cats is an innovative product used in the control and prevention of internal and external parasites in cats. In a simple spot-on application, Broadline treats a broad spectrum of parasites, including: fleas; ticks; roundworm; and tapeworm. With its external and internal parasite control, Broadline can also be used as part of a treatment strategy for flea allergy dermatitis (FAD).